This blog may be about cheap travel, but I suppose you might be wondering about our operation. Check out the equipment we’re using. Toshiba Satellite A105-S361 (PC Magazine review): Bought used for $150. That is probably the most important feature, cost, but it’s relatively lightweight at six pounds. It is regularly criticized for poor battery life, so we’re bringing an extra power converter. 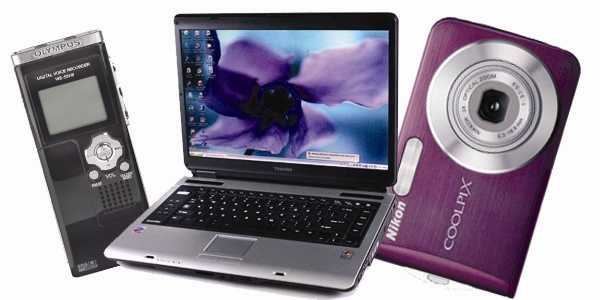 Nikon Coolpix S210 (Digital Photography review): Ours is purple because Sean bought it. Cost him. Photos at 8.0 megapixel and film quality worthy of a fine video podcast like this. 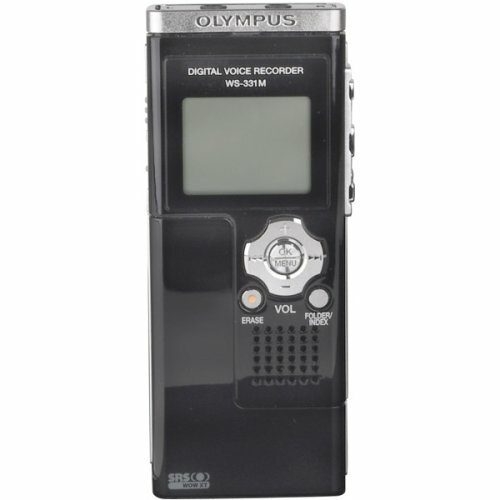 Olympus WAS-331M Digital Voice Recorder (Amazon.com user reviews): This was a college graduation gift for a bit more than $100. Produces a WAV file, which needs to be changed to MP3 to be edited in Audacity, but dragging the file onto your computer via a USB port more than makes up for it. Good quality, easy to use. Most importantly, it’s fast. We have used it more as a basic flash drive - which is a nice feature. Sima SIP3 International Travel Adapter Plug Set: This was given to me by NBC when I was travel blogging for them while in Japan in 2006, but they can be bought for $20. Wherever you go, no matter the AC outlet, get your equipment charged and ready. 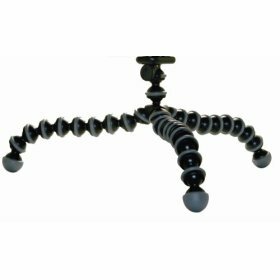 Joby GP1-01EN Gorillapod Flexible Tripod: Because we cant afford the luxury of a camera man, we have to rely on nearby poles and this spacey looking tripod (Amazon link). Each leg is split into several ball and socket joints that allow the legs to grasp nearly anything. SimpleDrive USB 2.0 External Hard Drive (SimpleTech specs): This is cheating a bit on the cheap front. We’ve been using Sean’s personal 750 gigabyte-external hard drive to store extra video and photos, including backups of what we’ve uploading and goodies the world isn’t yet ready to see. It’s a gem, indeed, though most Macs can only read, not write, on it. It is irrelevant whether the smaller HUFs hold any property. You are looking for the last option on the list that reads “You can send mail from these accounts. I see the tiger as being an externalised version of Pi’s father. reliable Hotmail help is just a phone call away.